Following on from yesterday’s article on travelling as a photographer – specifically the portion on serendipity – I thought it might be nice to show an example of that in today’s photoessay. 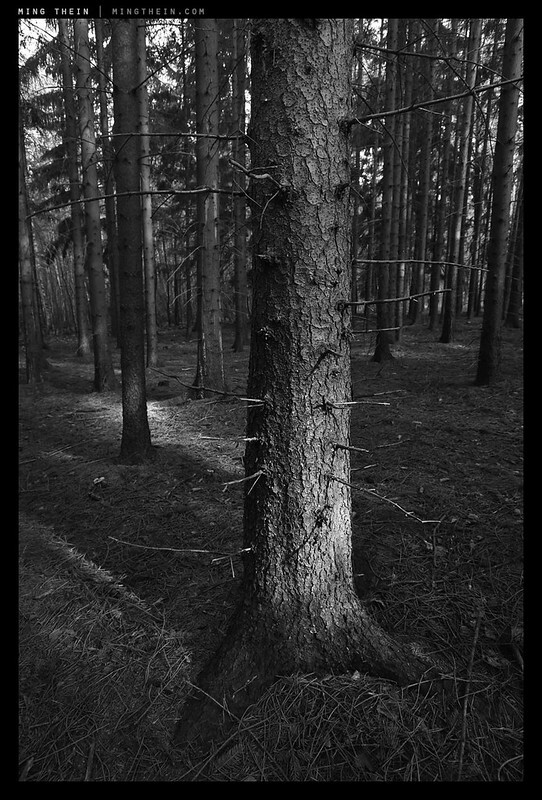 This forest wasn’t something we planned to visit; I had a couple of days free in Prague before the start of the last Prague workshop. My brother flew in from London to join me, and we rented a car for a day to drive around. 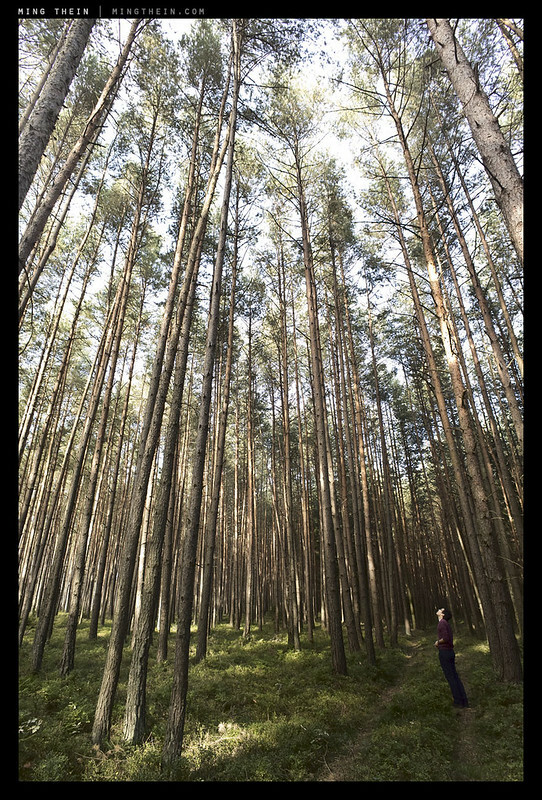 There were a few small towns that were our primary destination – ostensibly for photography – but the forest we passed along a small country back road turned out to be far more interesting. Perhaps it was the unexpectedness of the discovery, the isolation and solitude, or just the nearly-perfect, uniformly-spaced (but clearly still natural) trees that were waving around gently in the breeze, about 100 feet overhead, with no intermediate branches or low-level growth to block the view. Images in this set were shot with a Ricoh GR (digital V) and the 21mm adaptor. Your blog I feel is one of the best. 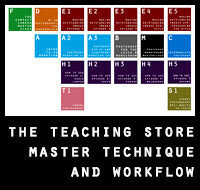 I come from old school film and working to have a foot in the digital world too. My observation is how do all your images achieve the same contrast range and sharpness—irrespective of the senor size,lens, light. Thank you for putting up the site. Terrific lighting throughout the first image! So difficult to do with so many shadows present. Something about the last two is particularly attractive. They seem to look almost like a reflections of trees in water, but clearly are not. Thanks for sharing! Interesting to hear its state owned – is it a forest whose trees are for harvest and pulp, which others have suggested, or a recreation area? Definitely something to be enjoyed, regardless! 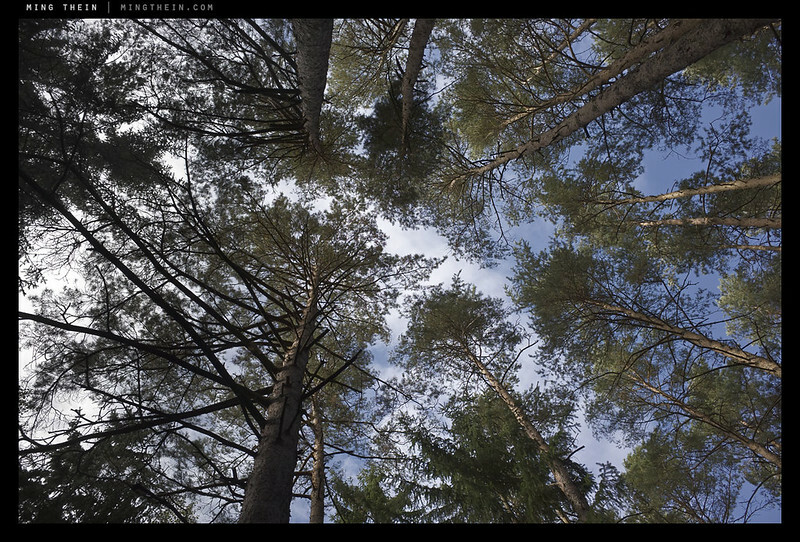 This one looks more like a recreation area to me (pine trees not ideally suitable for timber/pulp). Very nice images, by the way. Surprisingly empty, though. We didn’t see another soul in several hours. Marin, I surely don`t miss what you have when staying in your wonderful country. Let me see, for the first pivo, for the second, well pivo too and then of course krasne slecne. – In terms of general shooting philosophy, do you try to capture a scene, as close as possible, to how you saw it that particular day? Perhaps we can call this a “journalistic” shooting philosophy. In other words, you may clean up contrast and other lighting issues, during post, however, you try to keep it as close as possible to the scene you saw that day…? – Or do you try to make the scene look “as good a possible”, even if it means creating an entirely different capture…? One example perhaps, may be turning night into day, if it suits the image. I’m struggling with this issue in post processing, so I’m curious about your thought process. It depends what I’m photographing. If it’s commercial, then the goal is to make the subject look as good as possible, including retouching. Anything meant to be journalistic is left as is. Everything else falls somewhere in between the two, though most of the time I do very little work on an image simply because if I have to, it probably means the scene wasn’t that compelling to begin with. Thanks for your advice,,,! I think your last sentence sums it up perfectly! This is indeed more of an argument for photographers to “try to get it right” at point of capture. These past few years, I’ve heard a lot of the post processing crowd demand higher megapixels, so they can crop and get it right at post. It seems very time consuming to do it that way and perhaps rarely successful…? Recently, some photographers have mentioned that they plan to film 4k video and take the “perfect” capture, right out of the video stream. I’m trying to wrap my head around such a work flow. It seems the same philosophy would still apply. It’s not time consuming to crop, but it’s rarely successful. Lack of previsualisation means that composition is weak to begin with. 4k video yields ~8MP. However, video shutter speeds can be low-ish (especially under low light or fast moving situations, where you’d likely shoot 4k instead of stills) which would include some motion blur. When played back normally, it’s a non-issue because our eyes string everything together – this just isn’t going to work for stills. A bunch of blurry frames? No point. What a superb collection of shots. That is one hell of a sharp lens and it’s made me consider breaking my no new gear acquisition resolution ! Just for the rercord. Amnita muscaria is toxic but in most cases not deadly. It was used for it`s hallucinogenic proprieties in many cultures. Vikings took them on their raids where combined with lots of beer gave them facial expressions most of the raided prefered not to dicuss with. The real Lord of merciless darkness in Europe is Amanita phalloida, known in english as a death cap. Just one of them in the dish kills up to eight people. No you`re warned. We don’t need to get 1000 years back to viking times. 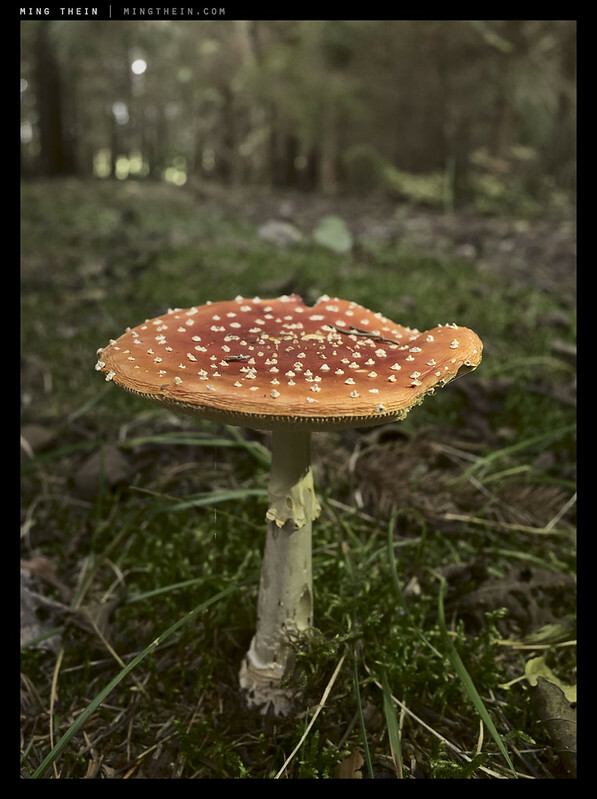 Here in the Pyrenees amanita muscaria has been used by shepherds till mid 60’s. Not dangerous if you know how to use it. Though even a bottle of wine can be deadly in the hands of a child. Very beautiful mushroom when in its prime. Unfortunately those found by Ming are a little bit old, if not he surely would have got some memorable pics of them. The old ones would do fine for his picts if he munched on some of them. And o course a bottle of wine can be deadly in the hands of child dropping it from tenth floor on the head of uberconcentrated street fotog. I think I’d better get a spotter to look up for me when I shoot. I especially love that last one. Any chance that prints will be available? Oh Mingo Bingo, pity you didn`t ask tcheckish friends about Sarecki udoli. It`s a wonderfull nature park just few miles from Praha with wild nature, cannyons, slopes, old settlements of prehistoric peoples, boy, enough to fill your memory card for the times to remember. Nope, I didn’t – actually, I didn’t know any Czech people at the time of planning the trip – but I will go there next time…gives me a reason to go back again, I suppose! You always seem to time the trees for when my work turns the stress screw on me. Just what I needed today [again]. 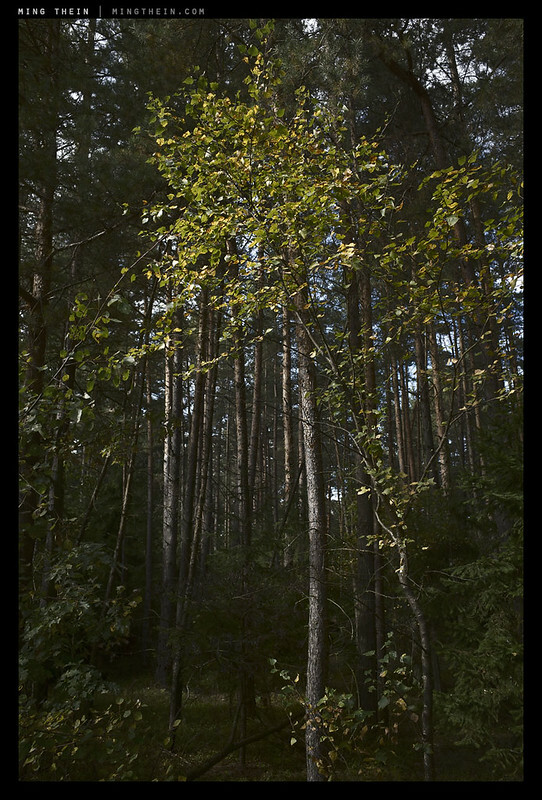 Your photoessay describes the beauty and majesty of the forest. Great shoots! Very simple, but immediate impact! Love them. That Ricoh is an AMAZING piece of gear and you use it so damn well Ming. I have one and love it but then put it away in favor of some bigger gun and then, after a while, find myself missing that little powerhouse and going back to it. If only it would focus better in low light. Any suggestions? The downsizing sharpening artefacts are due to flickr. Look at the original size images. I’m loving this images, but first I also thought they are way too much oversharpened until I thought of the flickr problem and that they might be hosted on it. I’m really wondering why Flickr doesn’t change their engine to not sharpen the images while scaling them down or making it more subtile. Other networks like G+ (and I bet many more) do a much better job. It is the flickr problem, as usual. Who knows – Flickr thinks there are no such thing as professional photographers, remember? Not lethal. Used since ancient times due to their hallucinogenic properties. As I live with this kind of forest just outside my door and am presently doing my best trying to photograph a part that will be logged shortly I find these images very inspirational. 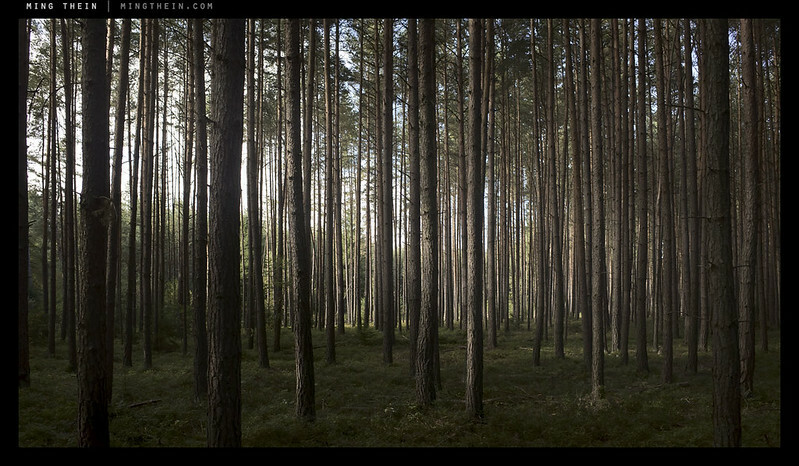 I don’t know if you know it but this kind of forest is actually a field where trees are grown, that is the reason for the uniformity. In Sweden, where I live, the trees are planted closely spaced in rows, to force the trees to quickly grow for the light and have thinner branches. About every 20-25 years some trees are removed until finally, after about 70 years, the last, the big ones, are logged. 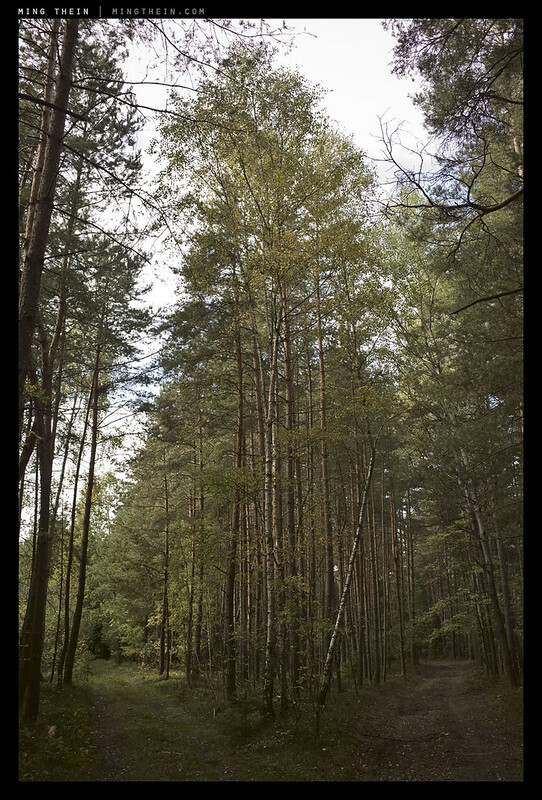 I looked for the dead trees in your photos but could not find them, however I saw both spruce and pine trees, which are similar, except that pine trees loose their lower branches (they actually loose branches that are shaded). 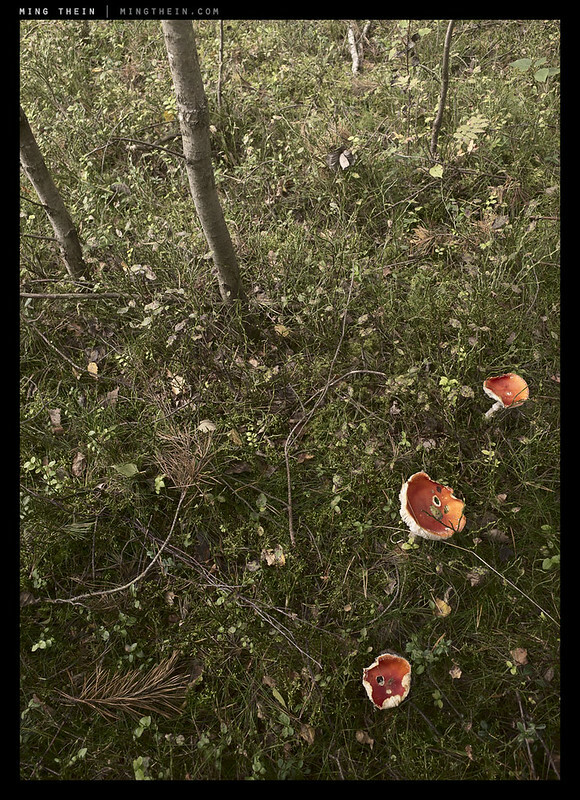 The mushrooms are not dead, but they are poisonous. The Vikings are supposed to have eaten them before going into battle as they are supposed to create hallucinations. I especially like the first photo, “Special”, “The line” and “Skewed perspective”. especially if limited to only a wide angle. This forest was never logged because is not easily accessible. Part of this forest burnt down 20 years ago. Rolf Jungbark described Swedish (and European) forestry well. Sometimes trees are not planted, but a few trees are left to let the forest regenerate by itself. 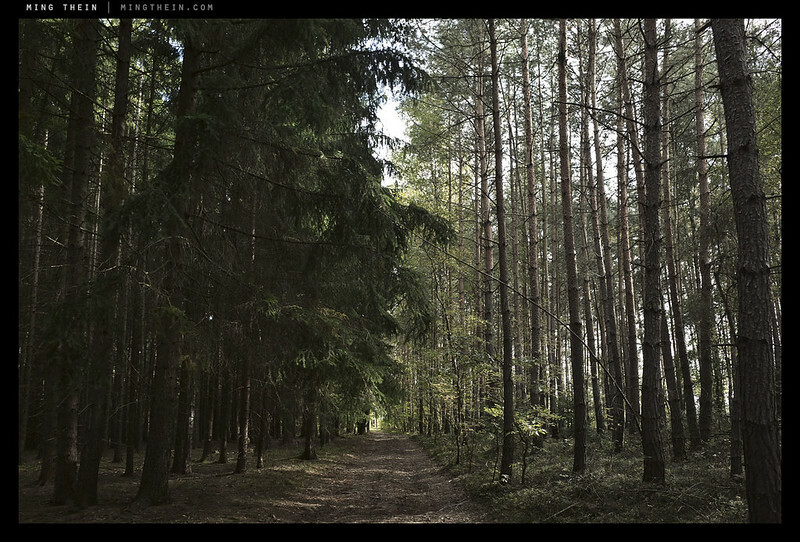 The result is much less boring to walk in, than when the trees stand in straight rows. 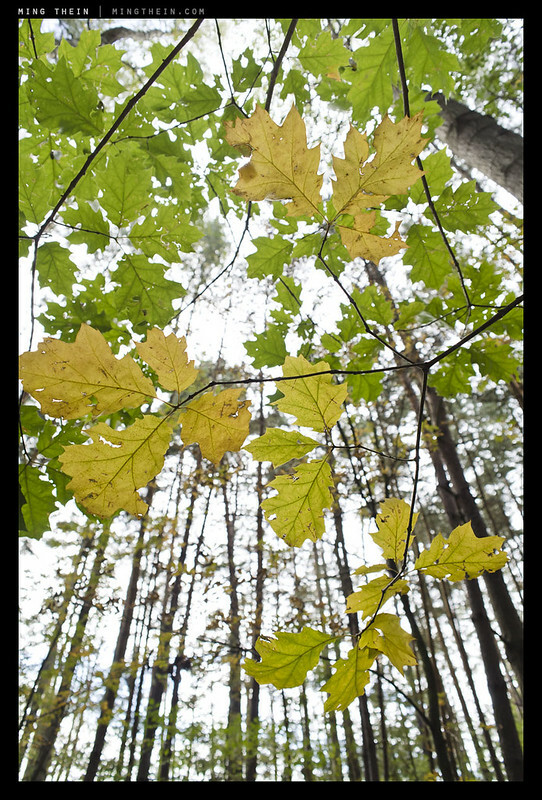 The ground under the trees is seldom so well cleaned up as in “your” forest and in many German forests I have seen. It didn’t ‘feel’ cleaned up – there was plenty of leaf litter etc. on the floor, just well composted – maybe they’re just really clean trees and nothing grows under the canopy because of lack of light? Almost certainly they are planted, though. The spacing is just too regular. If you leave a forest like that alone there will soon be a lot of fallen down branches all around. Nowadays I guess some forest owners clean up a bit, possibly to fascilitate the hunting season. But you certainlly caught the spirit of that forest! There’s no shortage of great work on your Flickr. I think I can learn much from you just by looking at your images. I’ll be back.. Truly amazing! Wonderful work Ming! Brilliant set Ming! I love trees and forests so i m naturally biased towards this set. Would love to have a large print of one of these on my wall. That fungi looks lethal ! Can you make “the forest II,” please? Thanks. Drop me an email and we can figure something out. 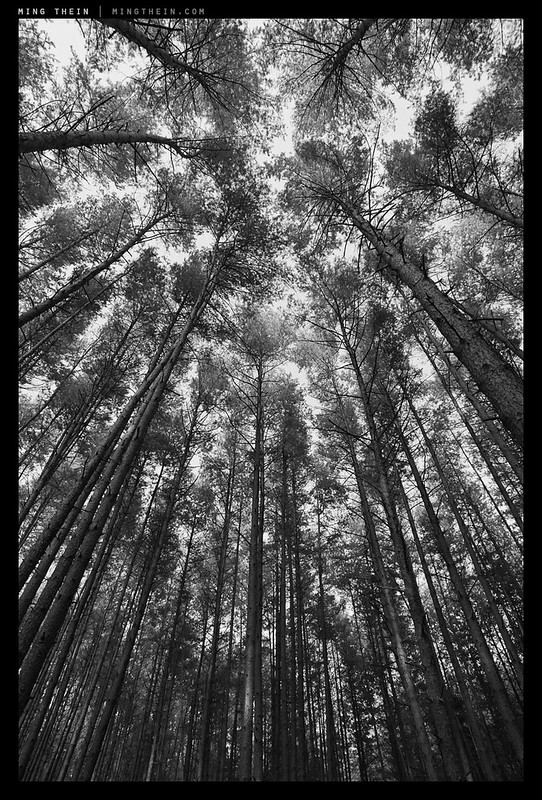 Looking up looks like it could be a great print. Very nice stuff as always Ming – especially like the portrait of that Fliegenpilz. sorry, I didn’t get what camera and lens/lenses you used for this beautiful arrangement. That’s odd, because it clearly states in last line of the text that I used a GR. 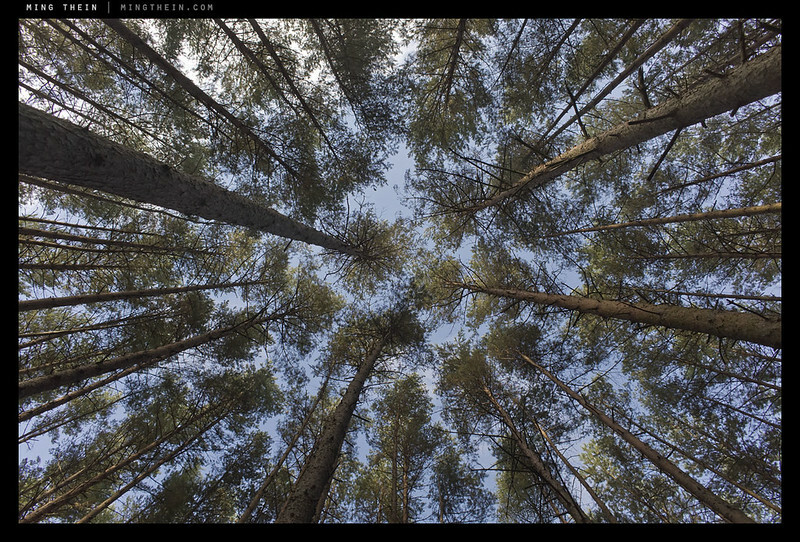 Very nice – I was just looking around the web for examples of wide-angle photos. My 14-24 is one particular lens I have found quite difficult to get any good photos and I’m keen to improve on it. A distinct foreground is your key. Great stuffs, MT. By the way, how do you like the 21mm adapter? I am thinking if I should get one or buy a used 12/f2 for my EP5 instead. I like it a lot. It was clearly designed to work with the GR’s optics – the center is fine at f2.8, edges are okay but become really quite excellent by 5.6. Simply brilliant photography! Thank you for sharing!